Here’s a question I’ve probably asked every single person I’ve ever met. Cheese or Chocolate?? Hypothetically if one of them had to disappear from the face of the earth, which one would you save? Whatever your answer might be, this particular recipe is about to make you happy! 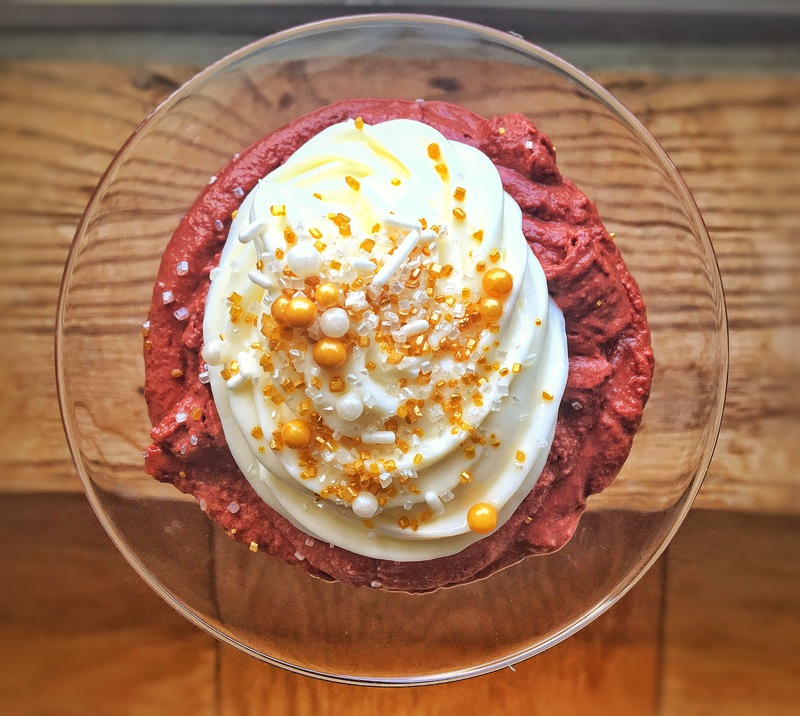 But one piece of advice along with this decadent Red ﻿Velvet(ish) Mousse, Eat responsibly!! 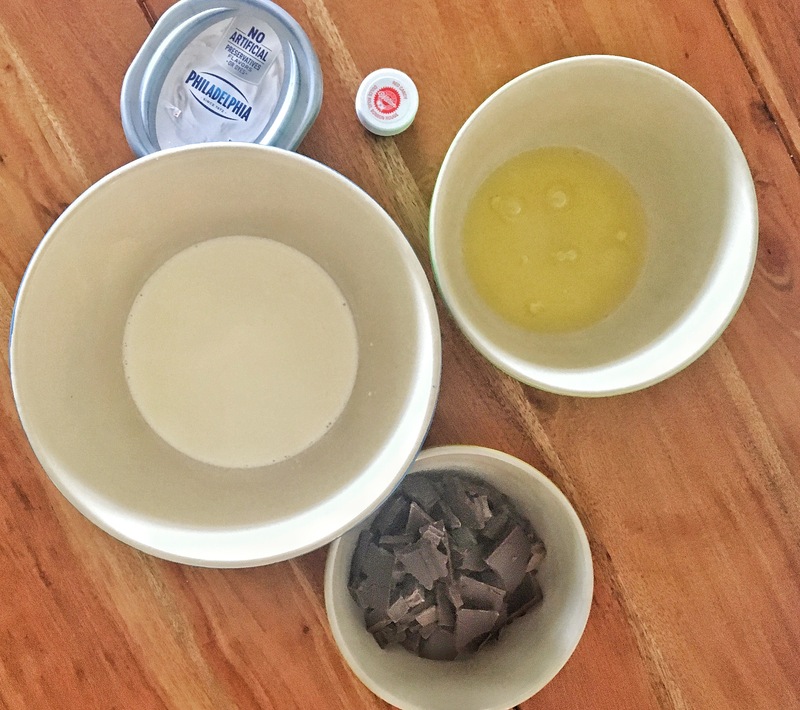 Melt the chocolate in the microwave (In a microphone safe bowl) using 20 second bursts (do not try a short cut, because it will be an epic fail.) Also make sure, there’s no moisture in the bowl or the chocolate will be a giant lumpy mess. Once melted, let it cool. Then add 1/4 cup cream to it and mix till it’s all smoothly incorporated. Slowly fold in the melted chocolate into﻿ the whipped cream. 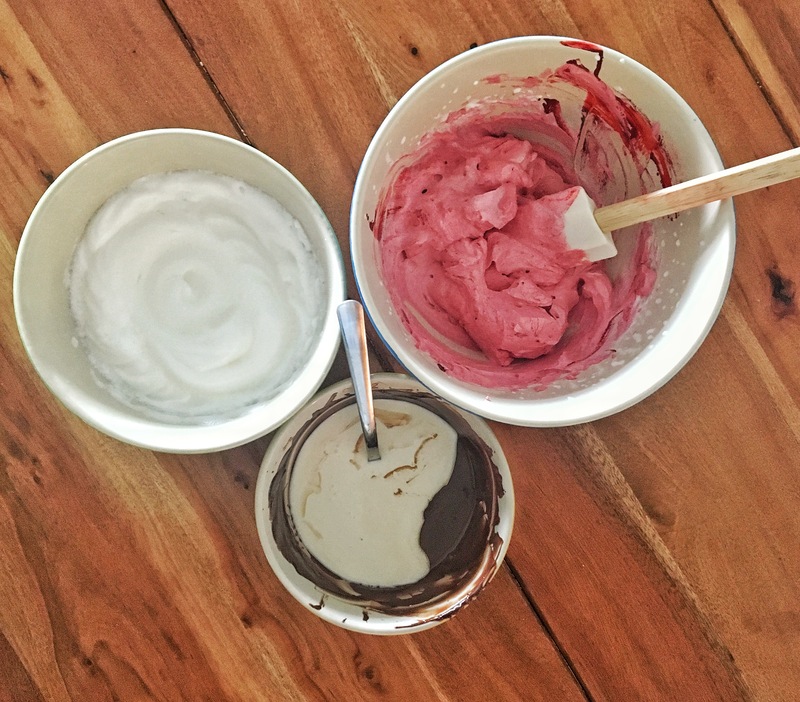 In a separate bowl, whisk the egg whites till fluffy and solid and then gently fold them into the chocolate & cream mixture. Let it chill in the refrigerator while you work on the frosting. Beat the cream cheese and sugar till fluffy and smooth like frosting. 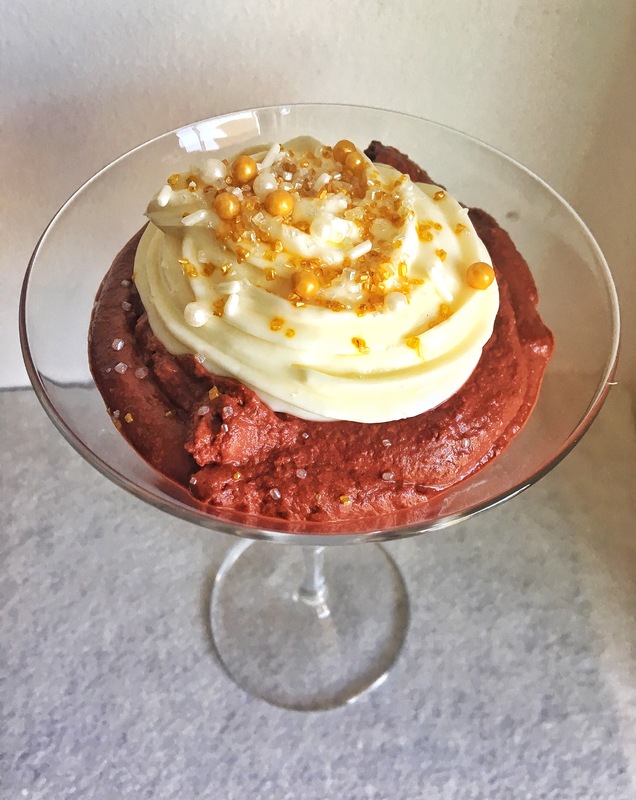 Spoon the red velvet mousse in serving bowls/glasses. Next Post When Life Gives You Rum. Total shameless Peeyakkad you are are Grishma. Do you have any Punjabi genes in there? Lol xD 😀 By the way, I would save cheese-like slices of chocolate in that hypothetical situation. Basically, chocolate over cheese. Nope, none at all… 100 percent Gujarati genes but I’ve been asked if I was a sardarni a lot before but now I kind of wear my hair short. and chocolate over cheese would mean no more pizza, EVER!